Are you a blogger? Are you taking advantage of all the incredible resources to find other blogs and to have YOUR blog found? Hi all! It’s time for my second official guest post here at PotPieGirl.com. Todays guest blogger is one of my favorite online friends – Jackie Lee. You may recall Jackie when I did a SEO Squidoo Lens Review on one of her lenses that was having some issues. Jackie is an incredible lady… work at home mom, has her own business… keeps many blogs delightful and informational…Just a great woman, great PERSON, all the way around. 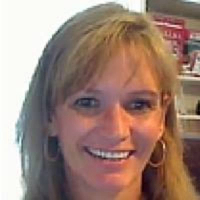 You can find Jackie Lee at her work at home mom internet marketing blog or at her business site where she offers affordable writing services to small businesses. Ok – time for me to hush and let Jackie talk. Ladies and gentlemen….Jackie Lee. The more I use Web 2.0 resources the more fun I have, the more people I meet, the more traffic I see and the more money I make! It really shouldn’t surprise me anymore, but sometimes it does, the more fun I’m having the more success I experience. I was inspired to go get an account at BlogCatalog, and when I got there I realized I had already been there. A long time ago, before I knew anything about internet marketing. It’s happened to me a few times lately, and it’s kind of funny. If you aren’t familiar with BlogCatalog, I recommend you run on over and look around. It is just what it says. A huge catalog of blogs. As you know though, behind every blog is a blogger. There are some amazing blogs at BlogCatalog, and some amazing people. You can list your blog(s) in the catalog. Which is great, and as with any Web 2.0 community you have the chance to meet new people, make “friends”, join communities and have a good time. It is well laid out and easy to negotiate through the catalog. You can search the catalog by keyword, which is nice. It is pretty easy to find some really good blogs. In fact, I found almost all of my favorite blogs by browsing through BlogCatalog. I have found other mom blogs and it’s been nice to have other mom bloggers to “socialize” with. There are a couple reasons why I think it’s a good idea to find other blogger friends, and keep an eye on other blogs in your niche. The blogosphere is a community. The more people you meet, the more chances you have to make new friends. The more friends you make the more you increase your chances of having someone recommend your blog, the more recommendations you have the more traffic you get. It’s a community, play with others, it’s useful and very fun! Keeping an eye on blogs in your niche is a great idea. It allows you to keep up with what’s going on in your field. Backlinks. If you have some favorite blogs you regularly read, it doesn’t feel like work to leave comments and a backlink. The more link-love you give to other bloggers, the more link-love they are likely to give to you. Never worry when linking to another blogger that there aren’t enough readers, there are more than enough readers for everyone, so why not recommend your readers go check out a blog you love. Readers love a good recommendation. By sending them to a useful or interesting blog you are gaining trust with your readers. Your masterful content and wit will keep them 😉 While you’re at BlogCatalog, stop by and say hi to me! See ya ’round the blogorhood! Great post. I think you may have coined a new term with ‘blogorhood’, I’ve never heard that one before.